CasinoClub was created in 2001. There is the 100% Welcome Bonus up to 650 Euro, Payout rate of 97.8%, Exclusive casino and slots games you can't play anywhere else, VIP club with exclusive offers and promotions. 50 free spins for each player! CasinoClub owned and operated by Gaming VC Corporation Limited a company registered in Malta. It is part of the Gaming VC group of companies, the holding company being Gaming VC Holdings SA, a company registered in Luxembourg and listed on the Alternative Investments Market (AIM) in London. CasinoClub operates under licence LGA/CL1/350/2007 issued by the Lotteries and Gaming Authority in Malta. Since 2001, CasinoClub has been dedicated to providing only the best in terms of honesty, innovation, and excitement. It never stops striving to offer the best online casino experience available. At CasinoClub sophisticated players find great, realistic casino games that are easy and exciting to play. With its guaranteed fair play, fast payouts, and highest security standards, CasinoClub has an unparalleled standing on the Internet. Casino Club launched SlotsClub.com in February 2009. They also own two popular poker rooms in CasinoClub Poker and Poker Kings. Customer service representatives at CasinoClub can be contacted by phone and email twenty four hours a day. Each player can use 50 free spins after first deposit. It can take up to 48 hours until the player sees the free spins in his account. And in additional You'll recieve sign-up bonus. Casino-Club offer the 100% Welcome Bonus up to 250 Euro. For first time depositors – receive a 100% bonus of up to €250. In addition to Welcome Bonuses, CasinoClub gives a number of significant weekday, weekend, and monthly bonuses, and offers various promotions for holidays. Every Tuesday and Friday CasinoClub presents a special Happy Hour. All our players will be rewarded with a Happy Hour Bonus of up to €500 simply by depositing between 10:00 and 13:00 CET (Tuesdays) and between 17:00 and 20:00 CET (Fridays). Other promotions include comps races, payout promotions and cash-back offers. VIP Club: Casino Club offers a multi-tiered VIP club with its own monthly cycle of exclusive promotions and prizes, such as LCD TVs, concert tickets and more. Boss Media is highly regarded and powers some very popular online casinos. 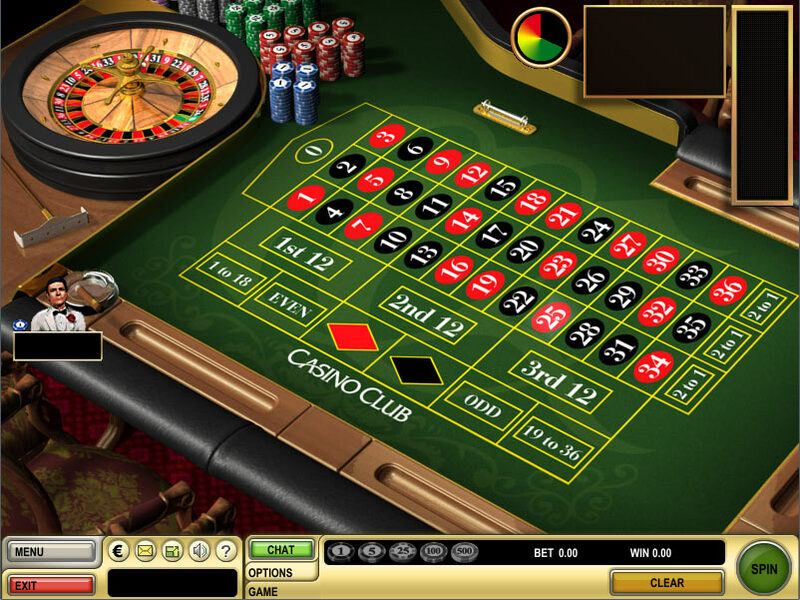 It provides a reliable and trustworthy casino software with a great design that has a user-friendly interface. It comes with the option of playing for free or for real money. All games are available in download versions, which provide the best graphics and features. 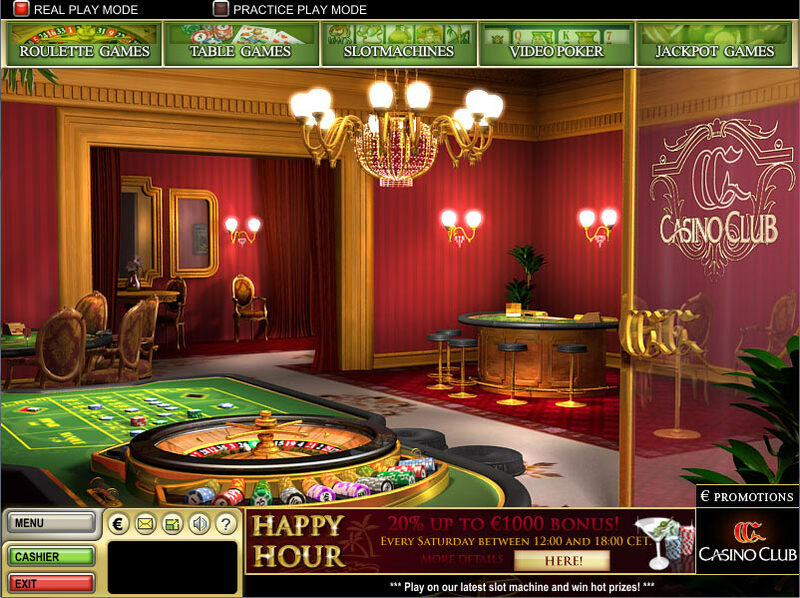 CasinoClub games are compatible with both Windows and Mac operating systems. CasinoClub features all the games you would expect to see in a casino. There is craps, keno, three types of roulette, three types of blackjack, poker, baccarat and more. There are nearly 30 types of slots games many of which have large progressive jackpots. One of CasinoClub’s best qualities is the realistic graphics of the games. For example, the table games look like the real thing including sound effects. Have any problems? Do you thinks it's SCAM? Describe your issue here and we'll help you. You can write your unique review of Casino Club and help to other players! Use the form below for it. In this Casino i was surprised that you cal play for real roulette with the bonus, not like in the other casinos, where the rate to convert the bonus is only 20%. i loved the bonuses! 100% bonus and i only needed to deposit 10 euro! it is so worth to try it out! Super roulette games! Also French roulette allowed for wager requirements. I like this casino. Now you can recieve 100% up to 250 Euro. Also wager requirements changed from (b+d)*20 to (b+d)*30.